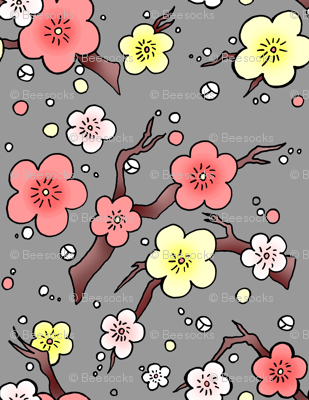 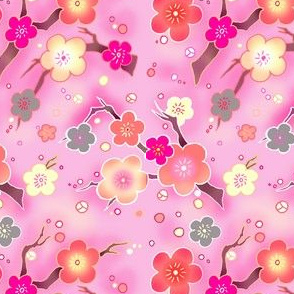 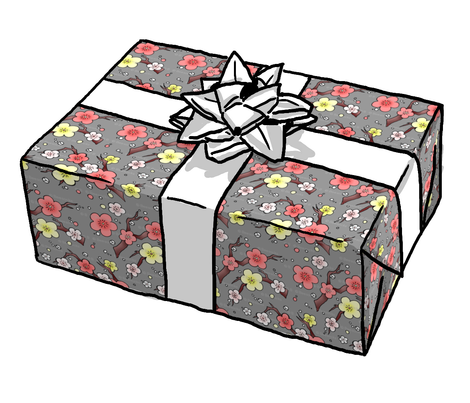 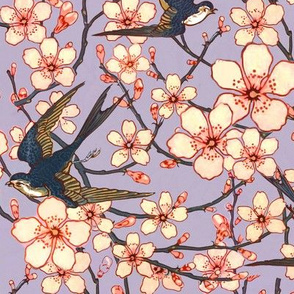 grey background with a repeating pattern of cherry blossoms in peach, vanilla, coral, and white. 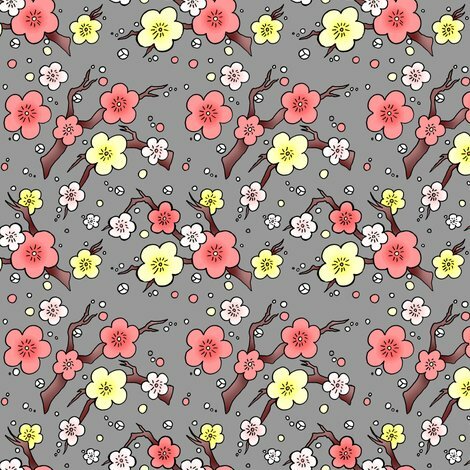 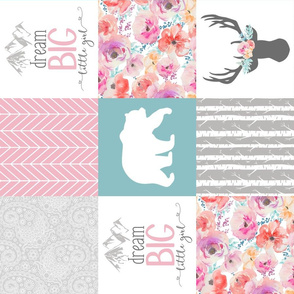 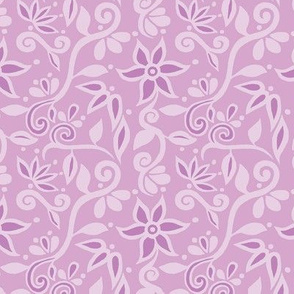 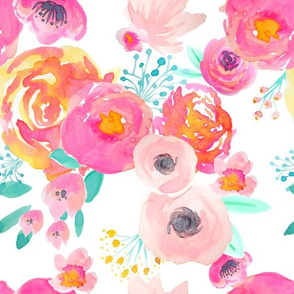 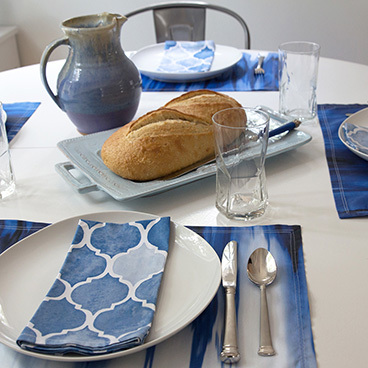 amy_g says: I love everything about this design....it's all lovely!!!! 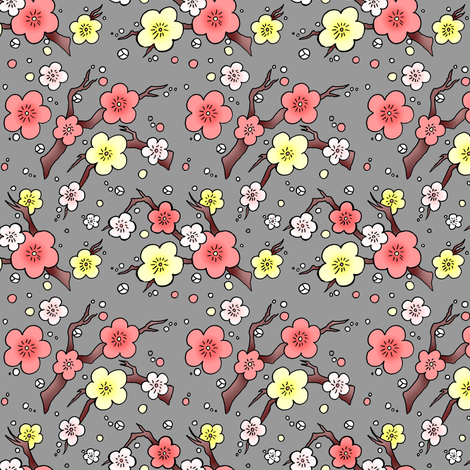 robyriker says: What a lovely design! 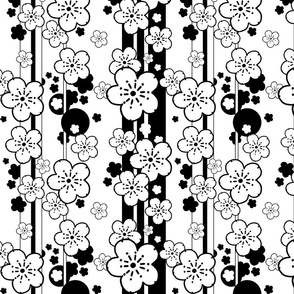 The flowers are great!